They say the best things come in threes, so here’s my third softshell jacket review in a row – and we’re now right at the opposite end of the spectrum to last time (Patagonia) with one of Aldi’s newest offerings. 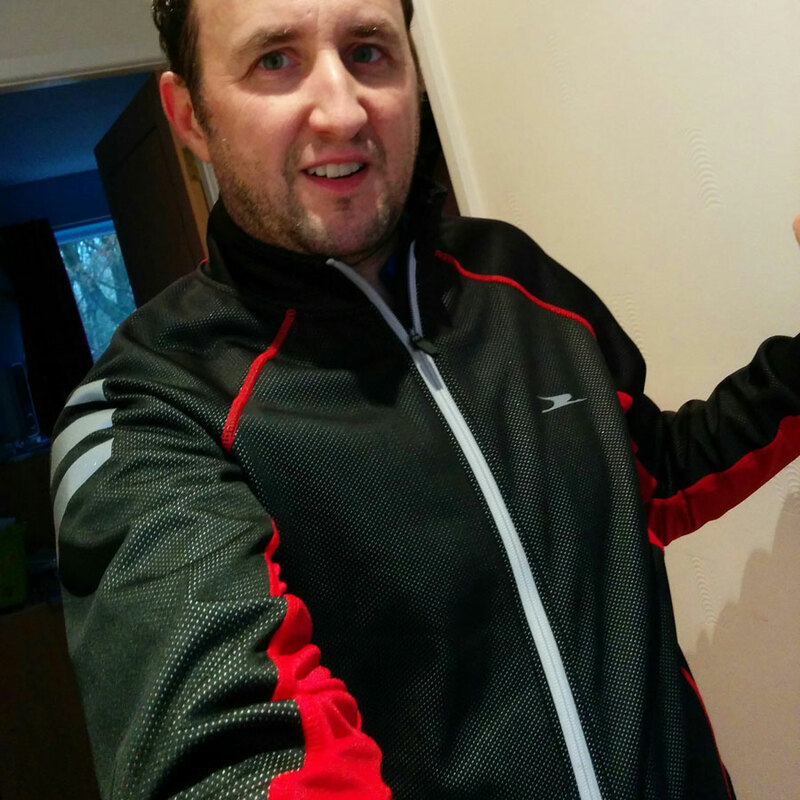 I rarely pay full RRP for bike clothes, but after trying the Aldi Performance Winter Jacket on while doing my shopping, I was impressed enough with the fit and feel of the thing to drop the £30 asking price on it. I’m not actually short of softshell jackets, as you might have gathered by now, but I liked the close fit of the Aldi garment and the fact that it’s got three pockets on the back – like a road jersey. 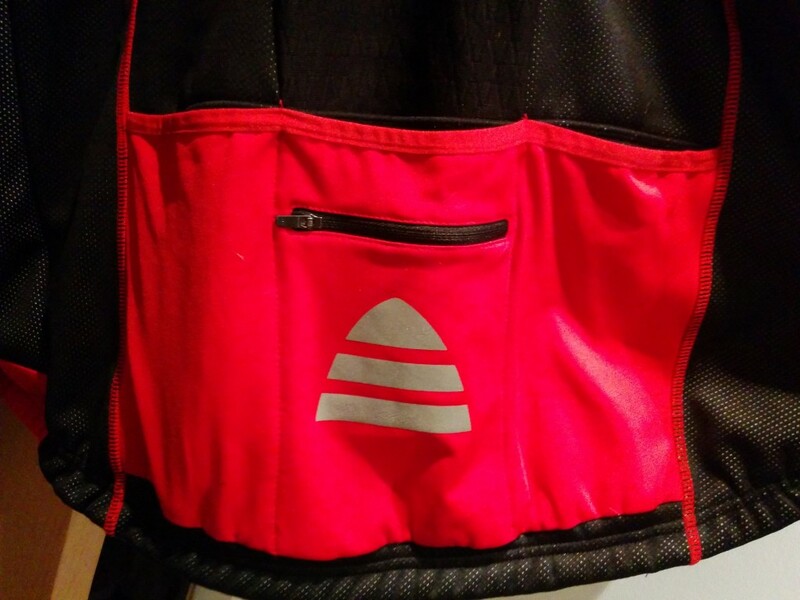 OK it looks a bit generic, but you’re going for a bike ride – not to a fashion show. 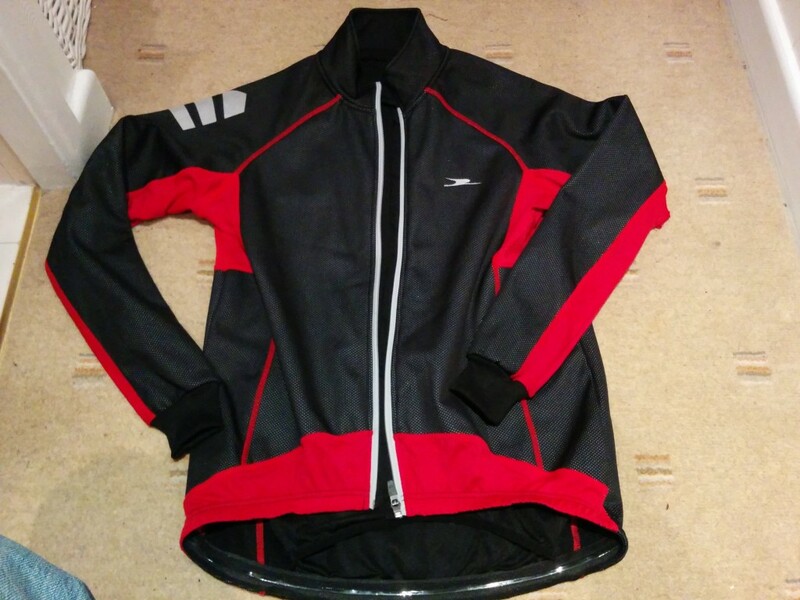 The fabric is stiffer than most of my other softshells (with the exception of the waterproof Endura Stealth), and it’s backed with a Roubaix-style soft lining in strategic spots for a bit of additional warmth. There’s also a thinner, stretchy panel in the back – to help ventilate things during hard efforts. I think it looks pretty good, in a functional but non-flashy way. It reminds me a bit of some of Gore’s garments (if I squint) – though obviously I would expect a bit less sophistication in the fabric. It’s got good long arms and a similarly long torso, with a nice chunky zip which is very easy to grab and adjust while on the move. Impressive bit of detailing there. I’ve only ridden in it four times so far, for a total of about six hours, but I’m confident that I’ve taken it through the entire range of conditions it’s likely to see. The first ride was a mild evening jaunt, starting out in the dry with drizzle setting in after about a mile – quickly turning to steady rain. The jacket was wet through after about 10 mins, so its definitely water resistant as opposed to waterproof. The rain then intensified to a level I’d describe as “cats and dogs” or even “stair rods” – with the jacket staying wet but comfy in the warm-ish evening air. It was actually quite snug with just a summer jersey underneath, feeling a bit like a wetsuit once it was completely soaked. Very useful rear pockets, how did I live without these on a jacket? The next ride was more of a complete test, beginning cold but dry for the first 30 minutes and allowing me to discover that the jacket is nicely windproof with a decent but not amazing level of breathability. A couple of sharp showers failed to wet the jacket through, though it was clear that it takes longer to dry than my thinner softshells. Riding over the popular Sheephouse Chase climb from Rivington to Belmont, I turned round at the bottom of the hill to head back in the same direction – just as the weather turned really nasty. Gusts of Arctic-cold wind were blowing stinging rain in my face and it was tough just to keep the pedals turning up the hill. After finally cresting the top in my slowest-ever time (including on MTBs) I was forced to pedal down the other side into the stiff wind, as I watched the rain flowing UP the road past me! Much as I was cursing my decision not to bother with overshoes, I couldn’t actually fault the jacket. It did a sterling job of deflecting the wind and keeping my core warm, even though several of my extremities were already painfully cold. The next ride was a few degrees above freezing but dry, while the fourth was warm and dry (before the heavens opened yet again) – and in both cases it performed well enough. So there you have it, it’s a good solid winter jacket which works fine with just a jersey and is probably best kept for colder days, say eight or nine degrees and under. I’m sure I’ll get plenty of wear out of it over winter and I’m particularly liking the deep rear pockets and that chunky zip. The outer layer is perforated to reveal spots of white beneath, I’m not sure how reflective these are, but there are also patches of reflective silver printed in strategic places – one of these being the right shoulder, which will be on your offside when riding on the road. Another impressive detail there considering Aldi will probably sell far more of these in Euroland. I haven’t tried it for MTBing, but I reckon it’ll prove pretty useful as long as I remember to unzip it a bit before climbing. And it shouldn’t show up the mud too badly.